There are certain directors that push the buttons of cinephiles and send us to extreme viewpoints. Every time they release a new film, the writing often focuses on our feelings about the perceived value of that filmmaker. Are they artistically worthwhile? Why do they keep doing the same thing? A prime example is Wes Anderson, who’s returned to prominence with The Grand Budapest Hotel this month. It’s one of the most anticipated early 2014 films and arrives in St. Louis next week. Anderson has plenty of devoted fans, so I don’t feel the need to defend why I think he’s a good artist. Instead, what puzzles me is the continued anger from cynics who despise his work. There’s nothing wrong with disliking any movie, but roping all his films together into a singular vision feels short-sighted. A recent example is Noah Gittell’s “The Case against Wes Anderson” for the Movie Mezzanine. It’s a well-written piece that includes solid points about Anderson’s characters reflecting his persona. The question is whether that’s truly a problem. Woody Allen has faced this charge for years, yet there is something to the “write what you know” idea for plenty of artists. Why should Anderson push down the aspects that make him original? There’s also the charge that he steps too far beyond reality with his films. It seems we could make the same attack on Terry Gilliam, Jean-Pierre Jeunet, or Michel Gondry. Why put creative directors into a box and ask them to conform to our ideas about what constitutes a film? Let’s examine this statement for a moment. The idea that a certain connection “must be present” in films doesn’t allow for each of us to take our own approach to cinema. It’s true that finding a common bond with the characters in a movie can make it succeed for audiences. Even so, that assumes that we’re all seeking the same thing when we watch a movie. Looking specifically at Anderson, this premise also theorizes that his work can’t deliver that association. That’s quite a statement for a director with eight feature films covering a wide swath of territory. His films may be artificial, but that’s an essential part of the movie experience. Even many documentaries are a construct with specified heroes and villains designed to elicit certain emotions from the viewers. The strongest example for me is Moonrise Kingdom. It’s shot with Anderson’s trademark style, but it’s hardly a soulless endeavor. The teenage romance at the center of the story has plenty of heart within the whimsy. There’s also a growing father-son bond, a married couple struggling to connect, and an overzealous scout leader hoping to prove his worth. The film has so much character that it nearly bursts from all that energy. There’s nothing wrong with disagreeing with my take, however. The danger is using a few parts of the movie as part of an all-encompassing hate of the filmmaker. A more nuanced take comes from Stephanie Zacharek’s Village Voice piece titled “I’m Trying to Love Wes Anderson, That Miniaturist Puppet Master”. She writes about struggling with the live-action films of Anderson and only loving The Fantastic Mr. Fox. This line is a key argument in her take: “Characters in live-action Wes Anderson movies have adventures, yet there's no sense of adventure in them.” That’s a question that hangs over each of our reactions to his work. Do we reject the thought of a puppet master yanking his characters through a story? Or does his vision lead to wonder and delight? Zacharek’s criticism makes sense, particularly with my least favorite Anderson film — The Life Aquatic with Steve Zissou. That story appears less organic and more of a lark. 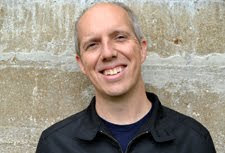 Characters die and I feel little for them, and my reaction connects with critics who look that way upon all of his work. What irritates me about simplistic vitriol against Anderson and other filmmakers is that it disregards their ability to grow and evolve. The music world has similar artists like Belle and Sebastian that lost devoted fans because they weren’t following a certain path. Their reaction makes sense, but it also leads to one-note criticisms. Even a detested guy like Michael Bay received more of a chance when he released Pain and Gain last year. Dismissing Anderson as just doing the same thing is too easy. Gittell essentially ropes all of his lead characters into the same type, and that’s hardly true. Dignan’s false ideas of grandeur in Bottle Rocket are much different than Max Fisher’s unrequited obsession for a teacher in Rushmore. Why try to put everyone in a box? I’ve experienced a similar feeling with John Sayles, who’s explored diverse communities in 18 features. The reviews tend to fall into a pattern and call out familiar points about his independence and lack of technical ability. Spike Lee still is viewed by many as a director who only focuses on race, yet his output covers a wide range of subjects. There’s nothing wrong with injecting our love or dislike for a director within a review. Certain themes repeat across their careers, yet that’s hardly a sign of failure. Martin Scorsese has frequently covered spiritual territory and guilt, but he’s considered a skilled “auteur”. Let’s give Anderson the same breadth to grow without resorting to tired complaints. 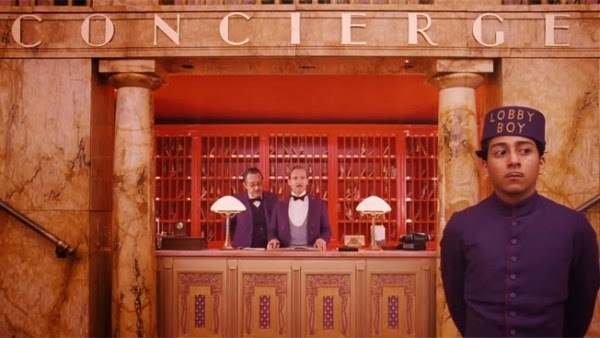 The Grand Budapest Hotel may work for you or fall flat, but at least give it a shot to stand on its own merits. Let’s dial back the hate and focus on the movies. That’s the point, right? This is a fantastic essay Dan, and I wholeheartedly agree with you. 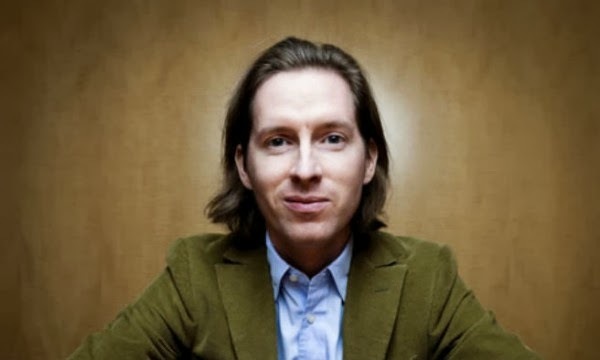 I think Wes Anderson is one of the most interesting filmmakers around and his films are truly unique. There is simply nothing else like them (that I'm aware of anyway). I understand people not liking his particular style of filmmaking, it's not for everyone. And that's what's so great about films, they get people talking about them, why they liked them, why they didn't. But I think the originality in Wes's films is something that should be celebrated. Right on, Chris. I'm jealous that you got the chance to see The Grand Budapest Hotel already. I still have to wait a few weeks. It sounds like it will be worth the wait. Thanks for the great comment! Great piece, Dan! I too take issue with the "must be present" line of criticism when it comes to Anderson or any filmmaker for that matter. As you pointed out, the definition of "present" changes for every individual. However, I find that Anderson's films, despite their unique style, still touch on themes that are universal (e.g. family, love, friendship, etc). I think many people simply have problems adjusting to Anderson's non-traditional approach. He paints outside the lines in a way that often gets interpreted as "too artsy." It is the criticism that directors like Hal Hartley have faced for years. I also agree with your point regarding people’s unwillingness to accept certain director’s diverse canon, while lauding others. Sayles and Lee are great examples of this. Both of their canons are rich and diverse. Not all have been winners, but no director consistently hits it out of the park. Yet they still get marginalized in the eyes of many. However, a director like Scorsese, who is a master in his own right, can do no wrong...even if he is basically hitting the same notes and over. As much as people claim they want a unique cinema experience, the reality is most want what it within the confines of their comfort zone. The traditional mainstream comfort zone is an area that Anderson has no interest in ever being in. Courtney, thanks for the thoughtful reply. I do feel like filmmakers get put into a box by a lot of viewers, and Hal Hartley is a great example. If a director seems like he's too artsy like you say, it's easy to push back and not connect with the movies. Whit Stillman is one of my favorites, and he gets similar reactions. I can understand it a little more with him (despite my love), but it baffles me with Anderson. Very good points! This is a terrific piece Dan! I'm not the right person to be arguing about the merits (or lack of) concerning Wes Anderson's work as I have only seen Rushmore, The Royal Tenenbaums and Budapest Hotel. That's partly because I've had a similar reaction to his work as many of his detractors. That's resulted in me not rushing to see everything he releases. I find his work unique, at times exceptionally funny, definitely offbeat but oddly distant. I can't find an "in". But that's not a bad thing. While I don't love his work I'm glad he's making the film's he makes because they are different. That's partly why I wanted to address the point about the Movie Mezzanine article as I don't feel we necessarily need to find a likeness between the actual world and the fantasy world. I agree, we need an "in", and I haven't find mine in a Wes Anderson movie yet, but that isn't because his make-believe world's are so far removed from my own I can't understand them or associate with them. Would the writer of that article point this argument at a Tarantino movie, for example, where every piece of dialogue is very clearly taken from the pages of a screenplay making it far removed from everyday speech. And like you say, does that mean we have to right-off the work of Terry Gilliam too! I think the writer should give Anderson's films another chance - certainly the ones I've seen because I do think they have very relatable features, especially Royal Tenenbaums, delivered in such a way as to comically magnify Anderson's offbeat interests. Dan, it's great to hear from someone who isn't as thrilled by Anderson's work. I can understand the difficulty in finding an "in", and I would never argue against that type of reaction. I'm just amazed when all his movies are thrown into a box. It just seems too easy. I don't get the idea of all movies having to do anything, so I had to bring up that point. I do think the piece had some good ideas, but it just irked me with a few of them. Thanks for the great reply! Totally agree with you Dan! I have connected with characters in all of Anderson's films and enjoy the added layer of style and whimsy. To me those are visual bonuses to clever dialogue and interesting characters. If you aren't a fan, fine, but I don't really get outright hate for it. Why does Anderson have to make something more "normal"? Artistic freedom and director's vision are supposed to be praised in film, not reigned in. Well said, Jess. Some directors just rub people the wrong way, but I've been surprised by hearing the same arguments about Anderson for so long. I also feel like he also evolved as a filmmaker and did some of his best work with Moonrise Kingdom. I can't wait to see The Grand Budapest Hotel! Yep, this is a remarkable article here, Dan. I agree with everything you said. Anderson isn't my favorite filmmaker, but the hate directed toward his films seems pre-planned and lazy. "Why put creative directors into a box and ask them to conform to our ideas about what constitutes a film?" That line struck me the most. If directors conform, then you may as well call originality dead. I'm all for Anderson sticking with his signature style, even if it doesn't always agree with me. For better or worse, I like knowing that when I watch a Wes Anderson film, I watch a Wes Anderson film. Alex, I think the pre-planned side of it is a big part of what irks me. It seems like he isn't even getting a chance to prove the doubters wrong. If the movie doesn't work, that's just fine. Sticking with the typical arguments just gets old. I have different reason for hating him - he has some sort of problem with animals. They always needlessly suffer in his movies. Yes, I know it's not for real but for me showing dog's death for no reason at all is despicable. I don't find his movies all that great anyways, but I have no problem with his style. I appreciate the visuals but for me any kind of animal cruelty on screen should be backed by a damn good reason and giving no reason at all is just...well, awful. Interesting take. I haven't noticed the animal cruelty, but I'll be on the lookout the next time I catch up with one of his movies. It sounds like a very legitimate reason not to appreciate his work. I don't hate Anderson, but you couldn't really count me as a fan. I didn't like Rushmore at all. I couldn't even be bothered to finish Fantastic Mr. Fox (which still gets me scoffed at by film snobs (not to be confused with the public transportation variety) anytime I bring that up). I did, however, like Moonrise Kingdom. I didn't think I would. I even almost didn't want to. But in the end, I couldn't help it. There were a few Anderson-isms about it that bugged me, but the film as a whole was too charming not to like. But all of his trailers for his other films do nothing for me. I'm not saying I won't give him a chance. I'll eventually catch up on others. But his overall style is NOT for me. It has an air of pretension I can't get past, and that's usually coupled with characters that should be interesting but are made excessively dull due to his required acting style. I just have trouble getting invested whatsoever. I have no idea why or how Moonrise Kingdom hooked me in but others can't, though. But I have read from a number of Anderson fans who didn't like MK when it first came out... so maybe that has something to do with it? 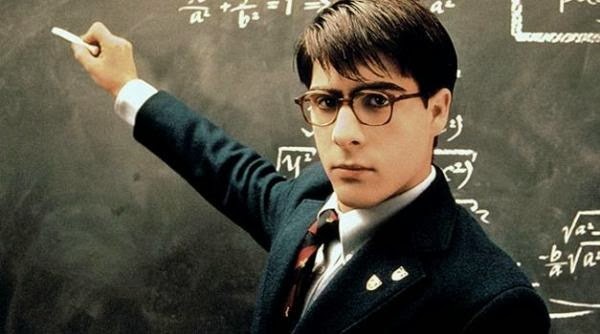 I'm a bit surprised that you didn't like Rushmore, but I'm too close to it going back to seeing it in the theaters. Moonrise Kingdom is right up there for me too and might be my 2nd favorite from his career. Have you seen The Royal Tennebaums? I'm guessing you won't love it after not liking Rushmore, but it's a bit different and is considered one of his best by a lot of fans. Fantastic piece here Dan! I don't really understand the hate to be honest, a filmmaker's work might not be someone's cup of tea but one could find something to appreciate I think. I don't always love his stuff (the same can be said about The Coen Bros for me), but if the premise intrigues me, I'd still want to see it. I appreciate his whimsical style and unique camera work, even at the expense of his films narration at times. I think it's great that there are still original filmmakers in Hollywood who aren't afraid to march to the beat of their own drums. Ruth, I think we really see this type of hate when filmmakers seem like they're above the audience. Some viewers think Anderson is pretentious and thinks he's cooler than them, and it makes them reject his films on the whole. I don't agree and don't think it gives him a chance, but that's how it goes I guess. Thanks for the comment! Great piece. I initially was not a fan of Anderson as I could not connect to his characters, but as I mentioned in my Grand Budapest Hotel he has grown as a director and his movies have become more accessible. The stories feel more natural, despite his very distinct doll house like style. I agree that Anderson has grown as a filmmaker. I've been a fan since the beginning, but I noticed with Moonrise Kingdom that he's continued to evolve. Thanks Vern! I agree that part of what makes Anderson interesting is the way the few don't have a strong opinion about his films. I'm cool if people don't like his work, as long as they really give it a chance.